A world without slavery where every woman can know her full potential . Over 40 million people are enslaved on any given day. 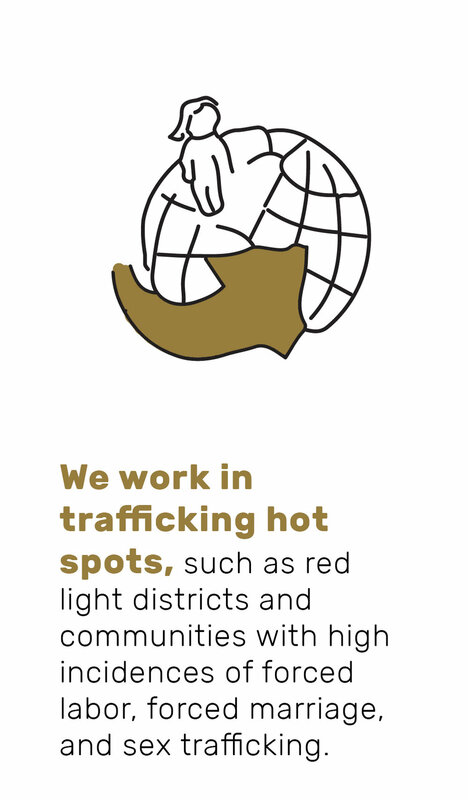 71% of those trafficked are women and girls. By creating economic opportunities for survivors and women at risk of human trafficking, we help prevent human trafficking and are breaking generational cycles of slavery.